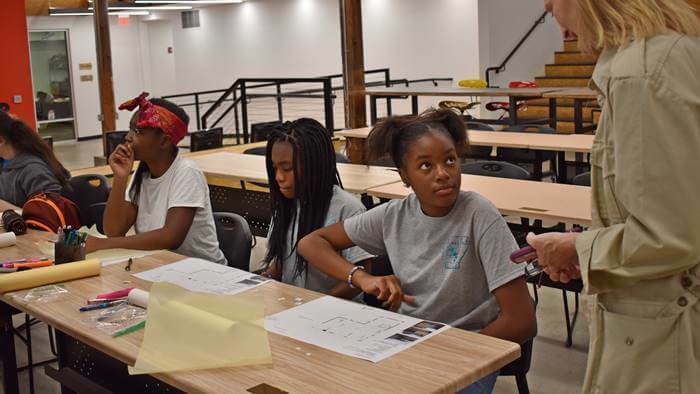 We create a collaborative environment where students are exposed to a variety of creative possibilities — from technology to art to entrepreneurial ventures — and we encourage them to investigate and explore through hands-on activities under the guidance of experienced mentors. All field trips are 2-hours in length and available Tuesdays and Thursdays between 9 am and 2 pm. If you have 50-100 students, check out our Hub Immersion Field Trip. There are robots all around us, helping us with everyday tasks. What separates a robot from other machines? How do they work? How are they controlled? 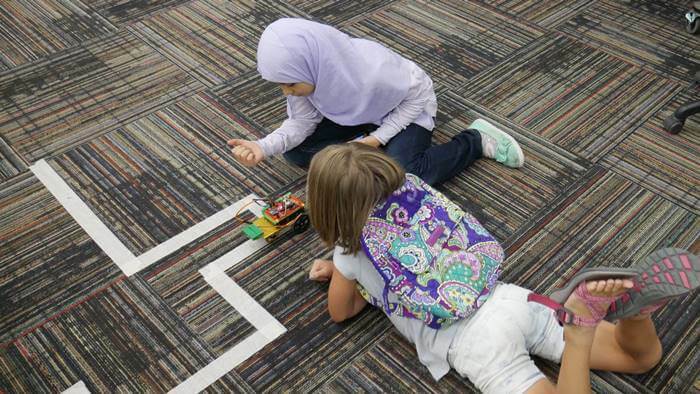 In this class, students will get a basic introduction to coding and learn how to lay out a series of commands for a robot to follow. Next, it’s time to get hands-on with a robot and see how well their code works. Print your own t-shirts, bags, or posters just like the pros do it. Select from our Innovation Hub designs created by our art team. Then put your muscles to the test when you squeegee prints of your very own products to take home that day. 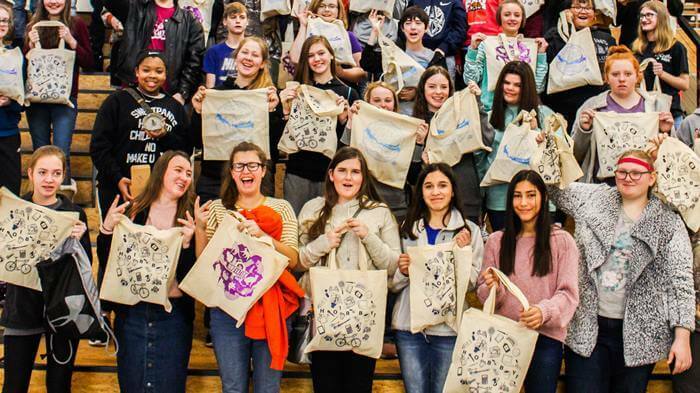 One t-shirt (or bag) included for each student. What kid doesn’t love video games? Well you may be surprised to learn that making them can be as much fun as playing them! Your students will learn to use Unity, a free world building game engine, to design their own worlds from hills and valleys, down to what types of trees and grass grow there. After their world is built, they can explore it with a character whose speed and strength can be controlled with just a few lines of code. Learn traditional methods for creating prints in our printmaking studio. 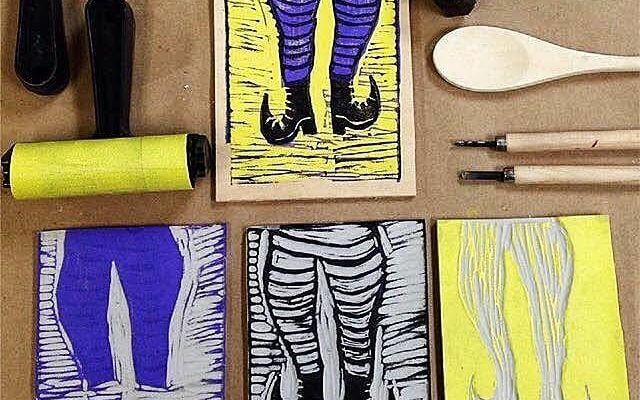 Try carving linoleum or drypoint etching and then print your own exciting designs onto paper! 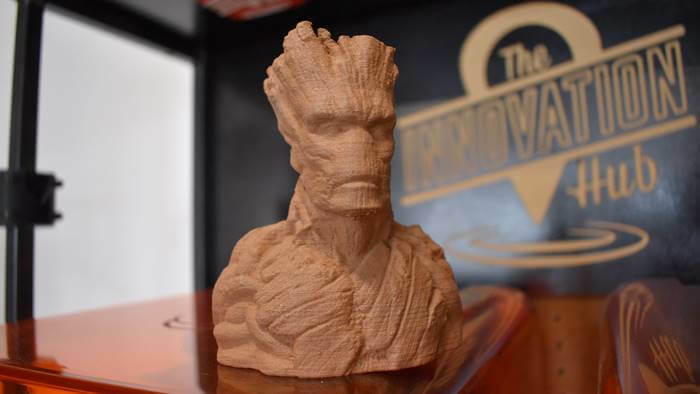 3D Printing is one of the most rapidly advancing technologies that we have here at the Hub. Your students will learn how these amazing machines work, and see them in action! 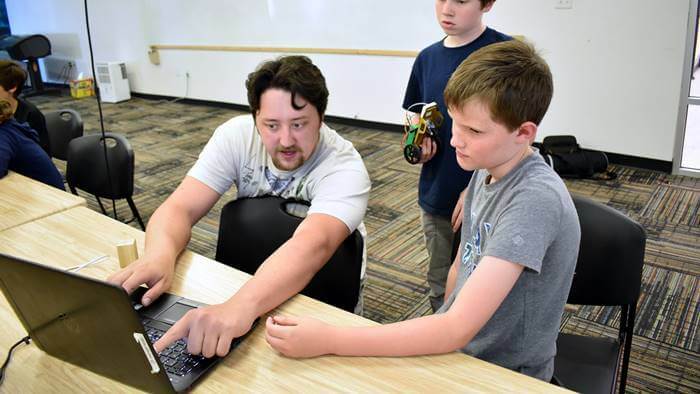 They will learn how to use free 3D modeling software to create models that could be 3D printed. Students will have a chance to learn how to create their own 3D model, but they will not leave with it in hand due to time constraints. But have no fear! They will walk away with a 3D trinket designed by the Hub masters! 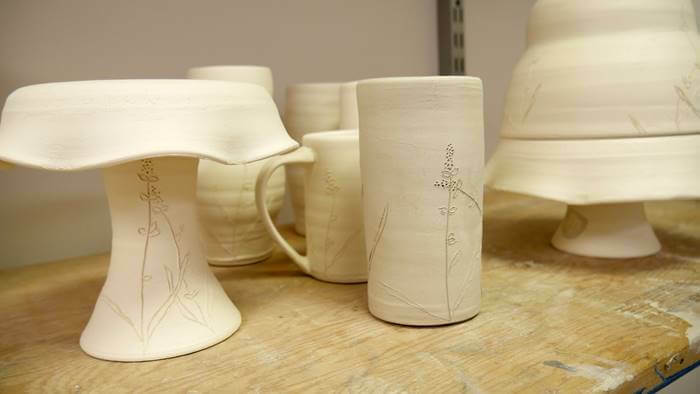 Students will see how clay can be turned into functional pots or beautiful sculptures. They will work with a professional ceramic artist to create their own ceramic piece. Laser. Vector art. Image burning. What is all this talk?! The laser is all about vector art! Vector art is used in graphic design to create logos and assets for companies and marketing. 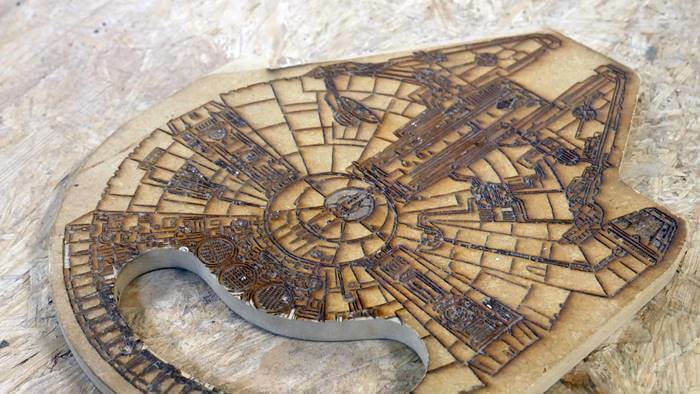 It can also be used for controlling a laser cutter to burn images onto woods or acrylics. Students will learn to create vector art and prepare it to run on the laser cutter, producing beautiful masterpieces. 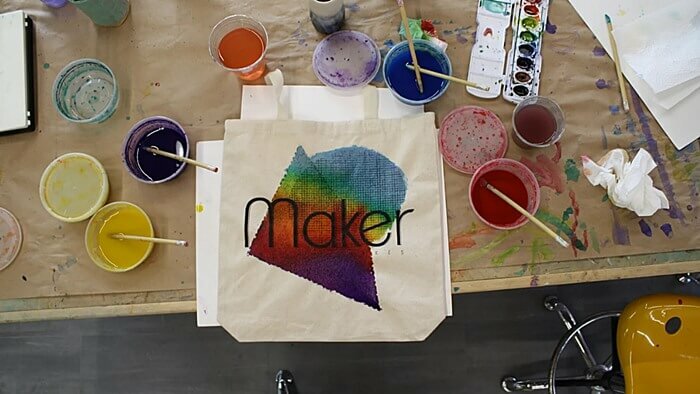 Explore fun dyeing techniques to create your own colorful patterns on fabric items like t-shirts, tea towels, or pillowcases. Each student will get to take home their masterpiece to wear or use. In this more advanced class students will learn about the coding language C++ and the Arduino Microcontroller. Both are incredibly versatile and can be used in a wide range of applications. Their biggest use is in “physical programing”, writing code to control real world objects like lights, motors and buzzers. It has all the content of a coding class with all the hands on engagement of a crafts project. Engineering is a field that can be intimidating. However, through creative problem solving and hands on activities, your students will learn that creativity is just as important as know-how. From building bridges and towers, to changing the way paper behaves as a material, the goals and concepts of engineering are made approachable. It’s not rocket science. Well… it kind of is. We will discuss the four forces of flight and everything that must be considered when something is flying through the air. 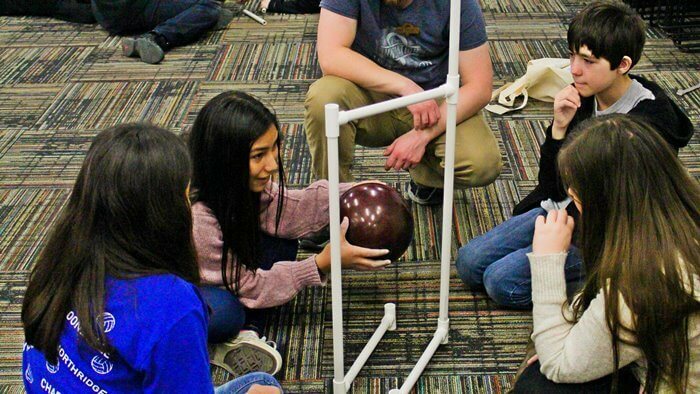 Students will take a hands on approach and build a rocket out of basic craft supplies and launch it (or blow it up) with our pneumatic rocket launcher! For an added memorable experience we will also have a drone flight demonstration. 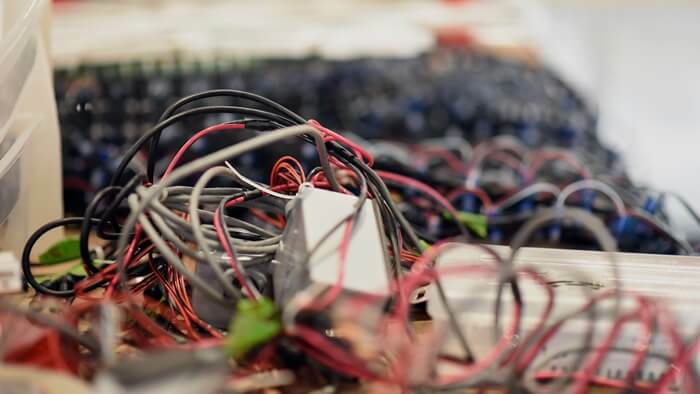 Are you curious about how electricity, circuits and electronics work? Do you want your students to have a fun, hands-on learning experience? If so, this is the field trip to choose! Students learn the physics of electricity, simple circuits and the components required to repair, design and build electronics. After learning the basics, they’ll enjoy creating a battery using simple components and build a functioning circuit with their handmade batteries! Are you having a hard time deciding between all of our choices? Problem solved! We’ve combined all of our most popular field trips into one amazing Hub experience for large groups. 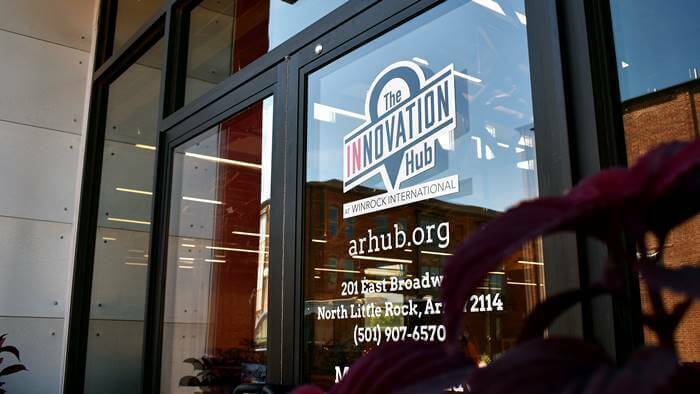 All students will experience several Art & Make activities of the Innovation Hub, including laser cutting, engineering, ceramics, and screen printing. Students will leave with these items: laser cut piece, unfired ceramic creations, and a screen printed t-shirt (or bag). Available for booking Wednesday mornings from September through May for groups of 50-100 students. The cost of this field trip is $12 per student and 6 chaperones.